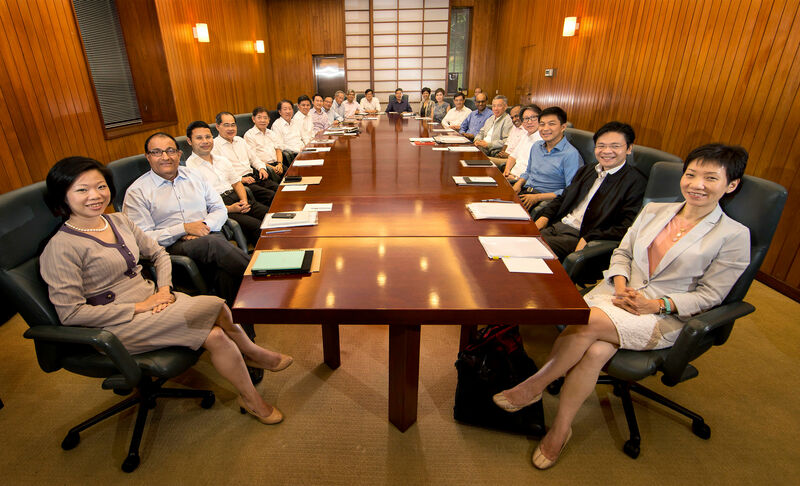 SINGAPORE - The fourth generation of government leaders for Singapore, tasked with charting the country's future as it enters a new phase of nation- building after SG50, will be among those taking their oaths on Thursday (Oct 1) evening. In their midst is the successor to the Prime Minister. 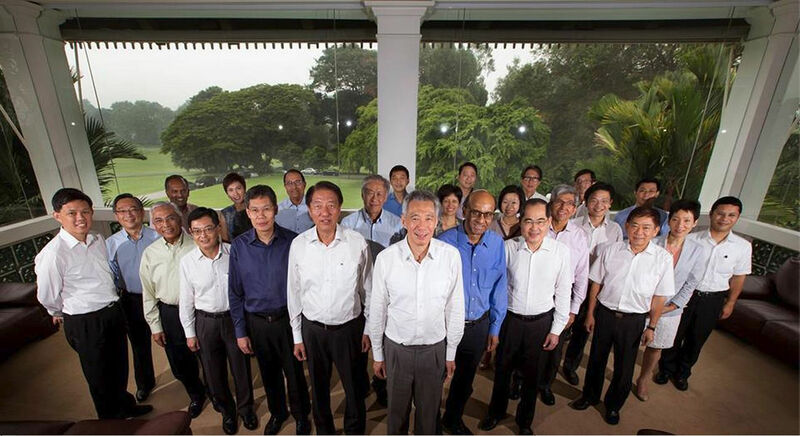 PM Lee Hsien Loong said as much on Monday when, in announcing the new Cabinet and other office-holders, he said he wanted a new team ready to take over after the next general election. Mr Lee made major changes to the Cabinet, thrusting new faces into political office as leadership renewal and succession become more urgent. The line-up is also longer, with 37 office-holders against 33 previously. One significant change is the introduction of three coordinating ministers: Deputy Prime Ministers Teo Chee Hean and Tharman Shanmugaratnam, and Mr Khaw Boon Wan. They will oversee cross-ministry issues and guide younger ministers. The scope of their work covers three primary areas: national security, economic and social policies, and infrastructure. New MP Amrin Amin, who will be Parliamentary Secretary for Home Affairs, said the new Cabinet reflects a "system of mentorship" that will impart confidence to the younger office-holders. "There is change but at the same time, there is continuity because it has the firm steady hands of people who are experienced, who were tested, still providing the guidance and support." The evening's event at the Istana will keep to the practice of involving people from all walks of life. About 700 guests - including representatives from the Singapore Public Service, diplomatic corps, grassroots, unions, business leaders, educators, religious leaders, and students - will attend the ceremony. It will be broadcast live on national television. Among the 31 office-holders to be sworn in are newcomers such as former senior civil servants Ong Ye Kung and Chee Hong Tat, as well as former chief of defence force Ng Chee Meng. Mr Ng and Mr Ong will both be Acting Ministers for Education. At the same time, they will be Senior Minister of State in the Transport Ministry and Defence Ministry respectively. Mr Chee has been appointed Minister of State for Communications and Information as well as for Health. Grassroots activist John Ng, 47, who volunteers at Kampong Chai Chee ward in East Coast GRC, is interested in the plans in store from the Education Ministers. "I look forward to seeing what kind of changes they will come out with. I think PM Lee has said we would change the PSLE scoring system. This is an area residents, from their feedback, are interested in, too," he said. However, Mr Ng, a businessman, is attending the ceremony with "mixed feelings" as the MP overseeing Kampong Chai Chee, Mr Lee Yi Shyan, is stepping down as a senior minister of state. Mr Lee told reporters yesterday he had suffered a mini-stroke this year and wanted a change. Tonight's ceremony comes nearly three weeks after the Sept 11 polls, which saw the People's Action Party win 69.9 per cent of the vote, a 9.8-percentage point rise from the 2011 General Election. Several office-holders, however, will be sworn in at a later date. Two new ministers of state, Dr Janil Puthucheary and Dr Koh Poh Koon, will take their oath later as they will take office on Jan 1. The Parliamentary Secretaries - Associate Professor Faishal Ibrahim, Ms Low Yen Ling, Mr Baey Yam Keng and Mr Amrin - will be sworn in next Monday at the Istana. Mr Baey said his past stint as chairman of the Government Parliamentary Committee for Culture, Community and Youth will come in handy in his new post at the ministry. "Now as part of the Government, my role is slightly different in that I have to shape policies and help to explain policies," he said.